Maintenance of aircraft airframe components, engines, engine components and other specialised maintenance tasks on components. 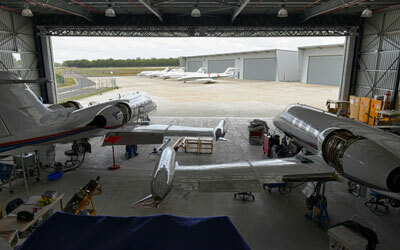 Maintenance of class A & B aircraft including Learjet 35/36 series aircraft. Maintenance of Beech King Air series aircraft. Piston engine aircraft with a max takeoff weight not exceeding 5700kg. Turbine engine aircraft with a max takeoff weight not exceeding 5700kg. Maintenance of brake and wheel assemblies fitted to Learjet and King Air series aircraft. Maintenance of rescue hoists and associated equipment. Air Affairs can supply a range of ground support equipment which is manufactured in-house and can be tailored to meet customer’s requirements. All of Air Affairs activities, including aircraft and component maintenance, are contained within the scope of a fully certified Quality Management System that complies with the requirements of AS/NZS ISO 9001.